Come and join in a workshop, be creative!! Come to 20-21 and make a tree of life plaque. Once we have created the basic tree step by step you will add your own creative details. or to reserve your spot, call 01724 297070 or email 20-21.epd@northlincs.gov.uk. 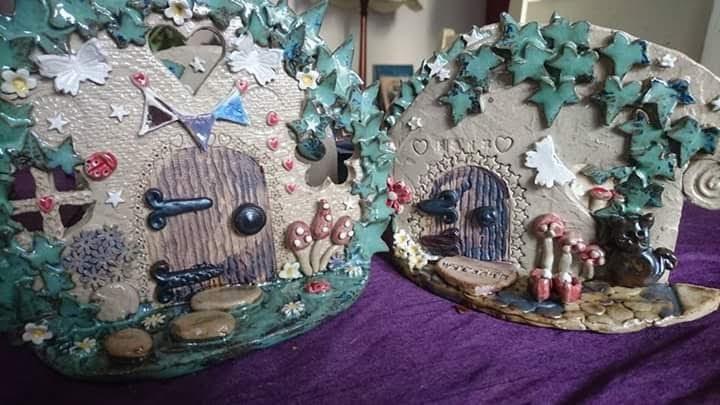 A Standing Fairy Door.. Let the magic in and come along to create something amazing. Simple construction with lots of opportunity to add your own enchanting details. 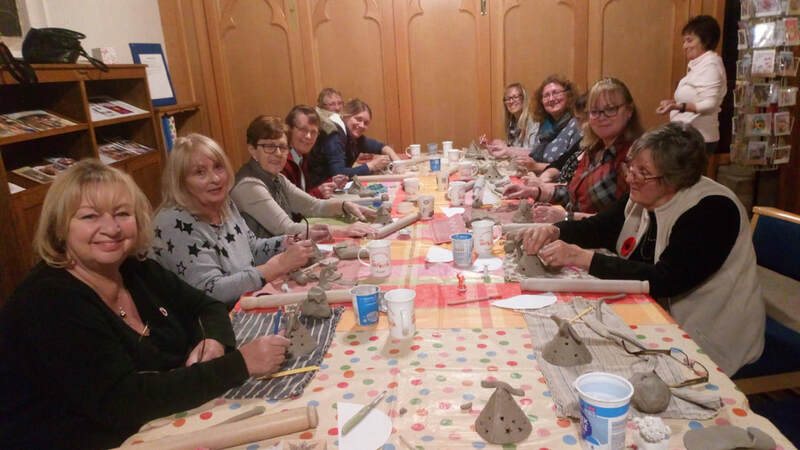 A popular workshop.. make a face, male or female from stoneware clay using a mold. embellish with leaves and hand modeled details. 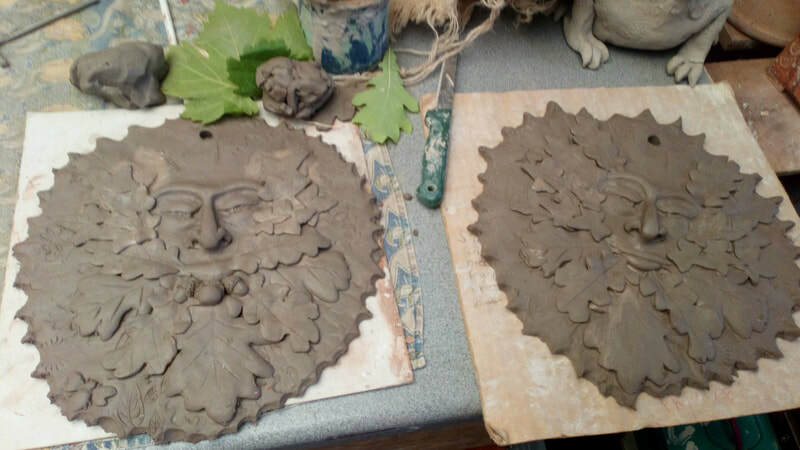 The green man is an ancient pagan image still important today. The finished work will be frost proof. There be dragons here! Or there will be by the time you've finished! !..A fab opportunity to create your own magical beast. 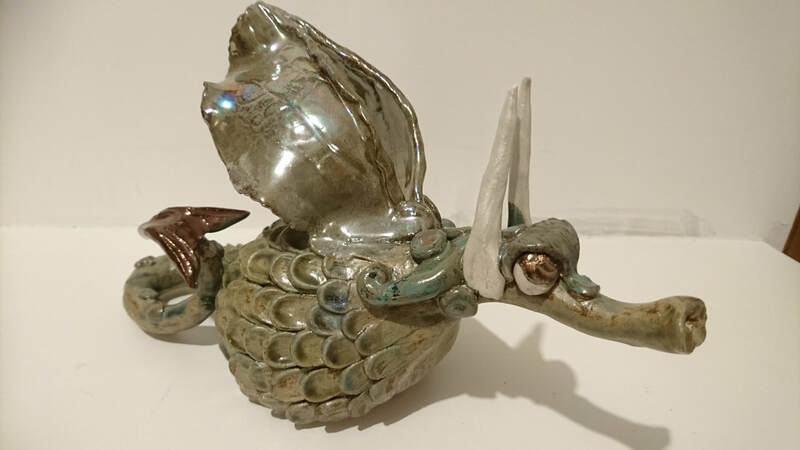 A fabulous workshop where you will use a range of different methods to construct your dragon. 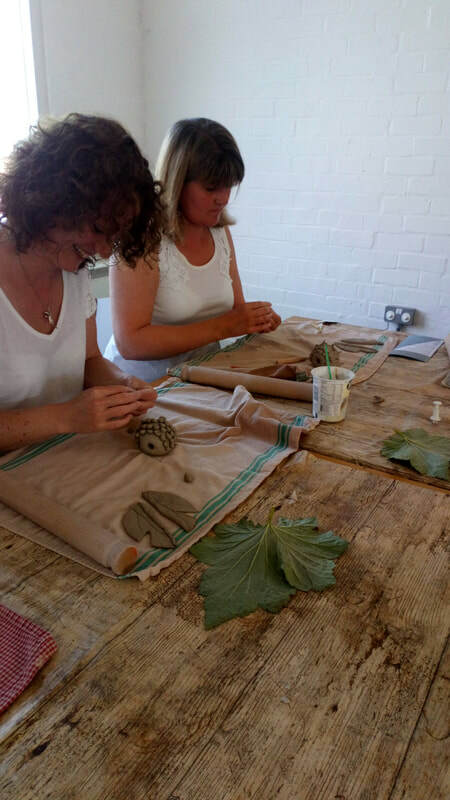 Come and make something to treasure! 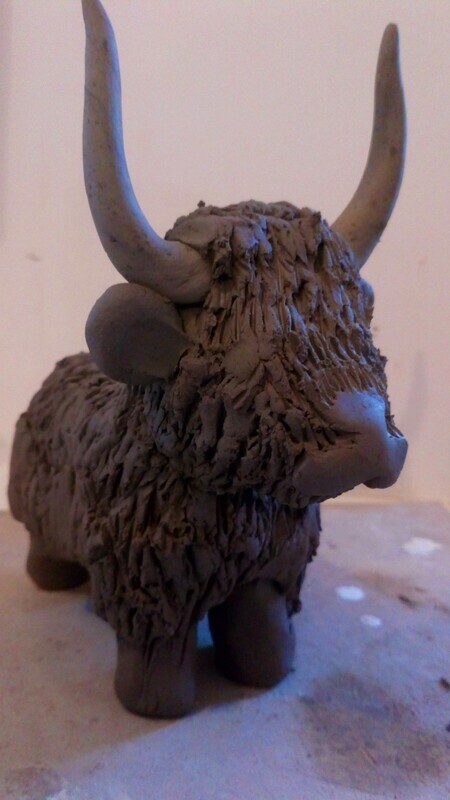 A new workshop...we will be using stoneware clay to create this popular and beautiful animal, horns and all! 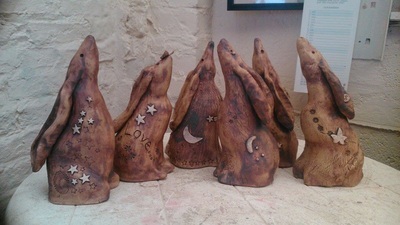 This is a lovely creative and magical piece of work. 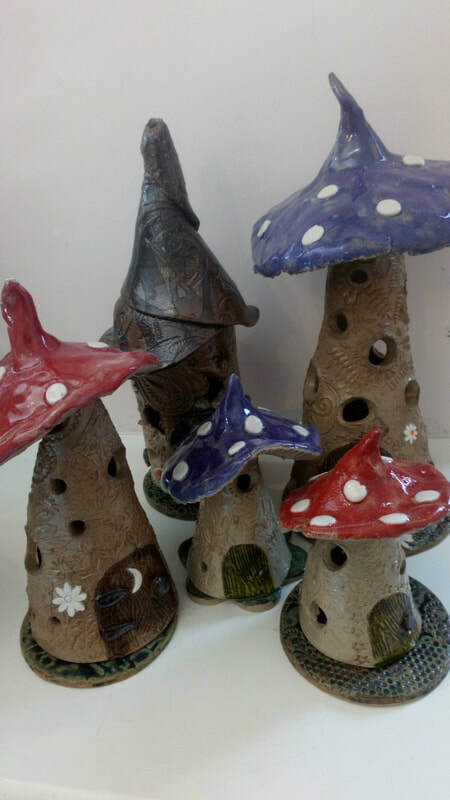 with a chimney, windows, a fantastical mushroom style roof and lots of details this house can be used with a candle to light it up or incense to make the chimney smoke! The finished house will be frost proof. 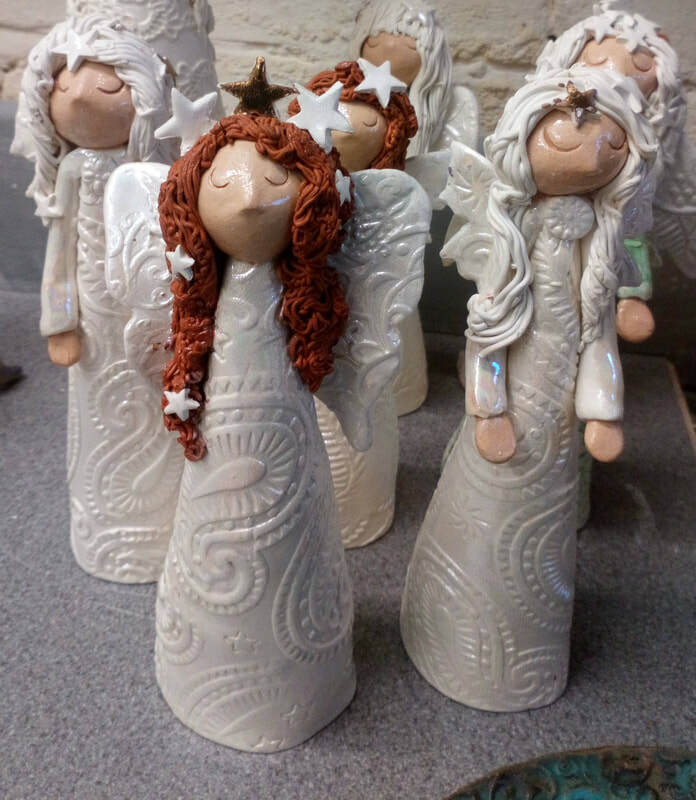 Come and make a lovely angel.. made to take a tea light if you wish. Glazed with a pearly lustre the angels are special and unique.. a relaxing workshop at a busy time.. angels will be returned in time for Christmas.